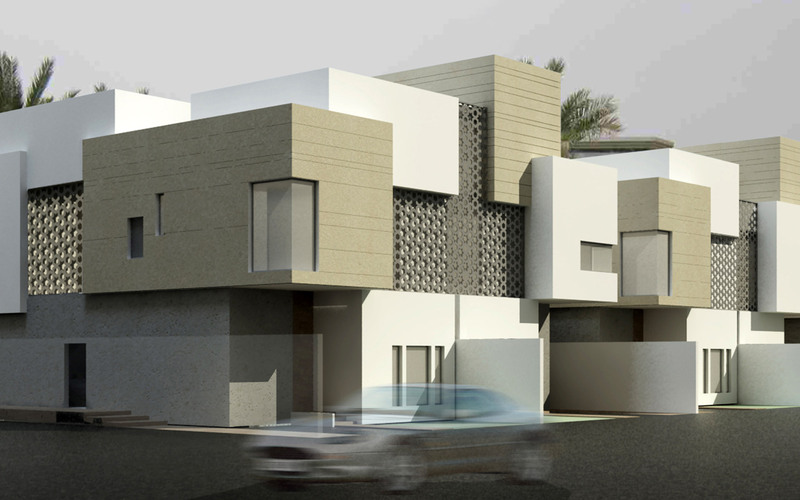 This project consists of five townhouses (400 to 425 sqm), each with a private garden including a swimming pool (160-270 sqm). 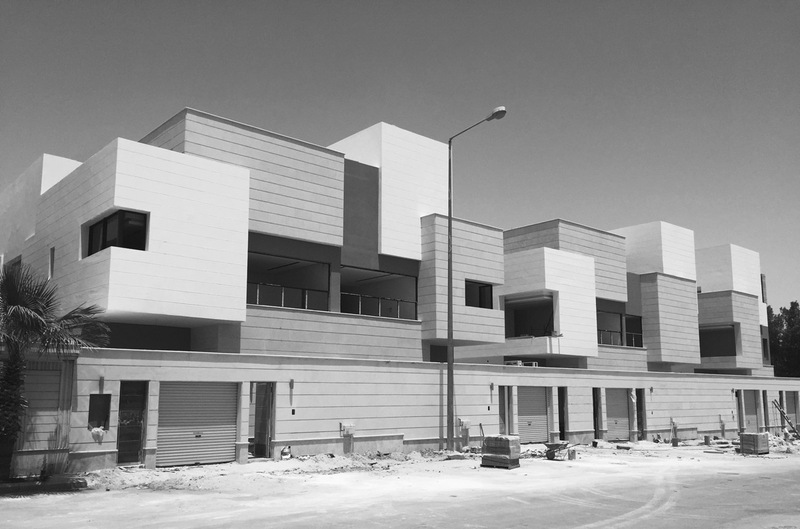 The challenge of maintaining a standardized construction strategy for the buildings required minimal plan variations while avoiding the repetition of similar volumes. 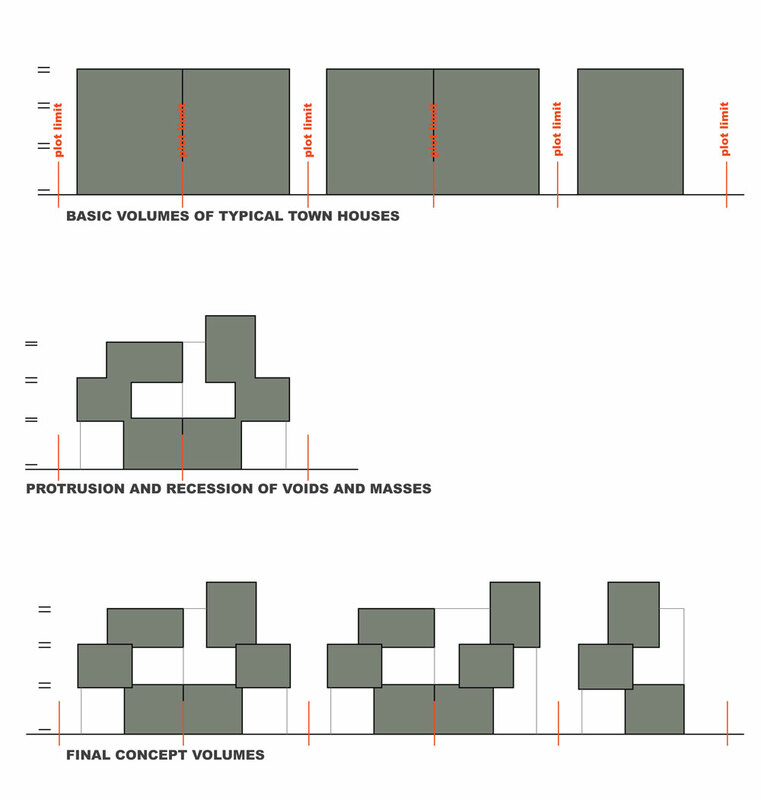 Protrusions and recessions from a basic townhouse volume create a dynamic interplay of void and mass, both in the floor plans and volumes of the buildings. 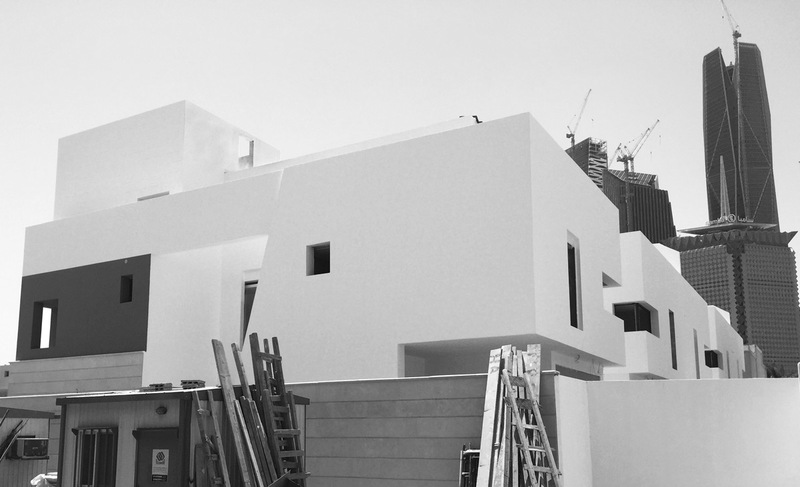 On the ground floor, this is reflected in the internal partitions of the living spaces and their relation to landscaped outdoor spaces. 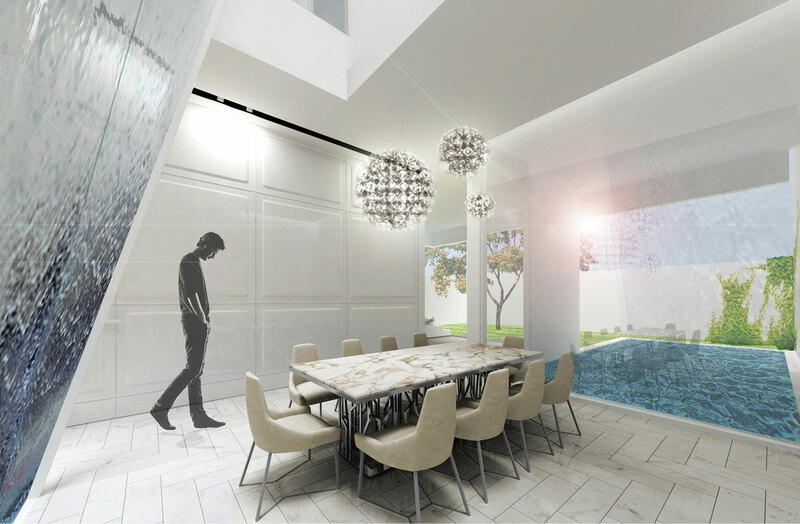 Living and dining areas are organized around an internal courtyard and defined by the garden and pool outside. 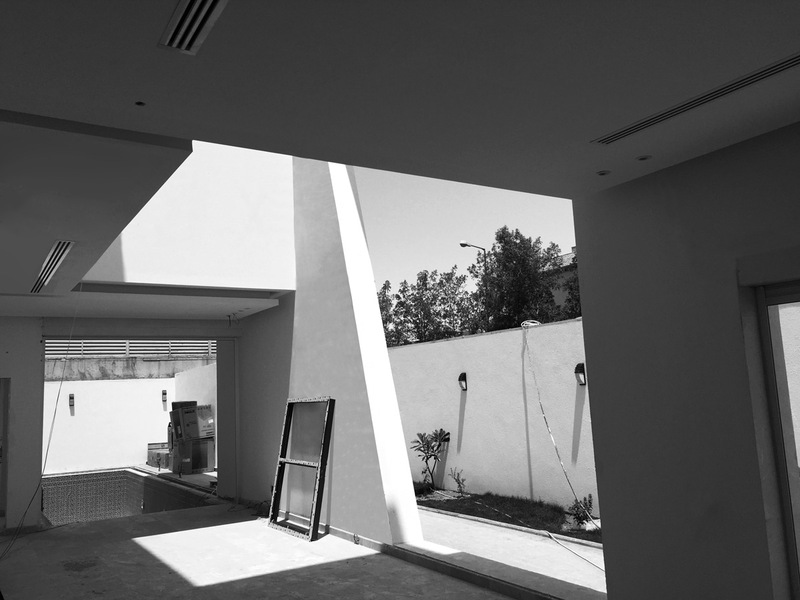 This courtyard acts as a shaft for daylight into the interior. 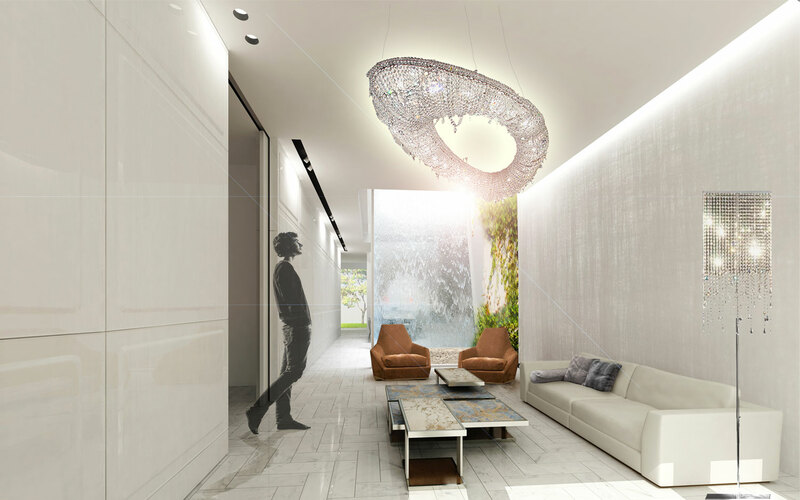 A waterfall is strategically placed to allow privacy between the two spaces. 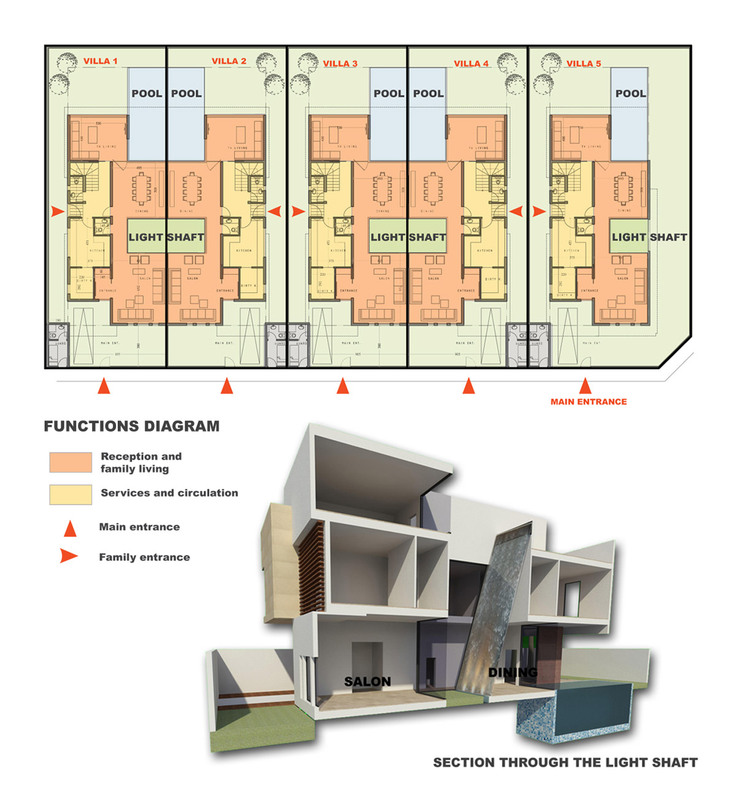 Bedrooms and private spaces are allocated to the first floor, while the service areas and a multipurpose room make up the top floor. Variations in the plans for the upper levels create a dynamic interchange of volumes on the main façades of the buildings. The design team used different types of stone, alternating colors, and sections of aluminum mesh on the façade to emphasize the dynamic character of the project.